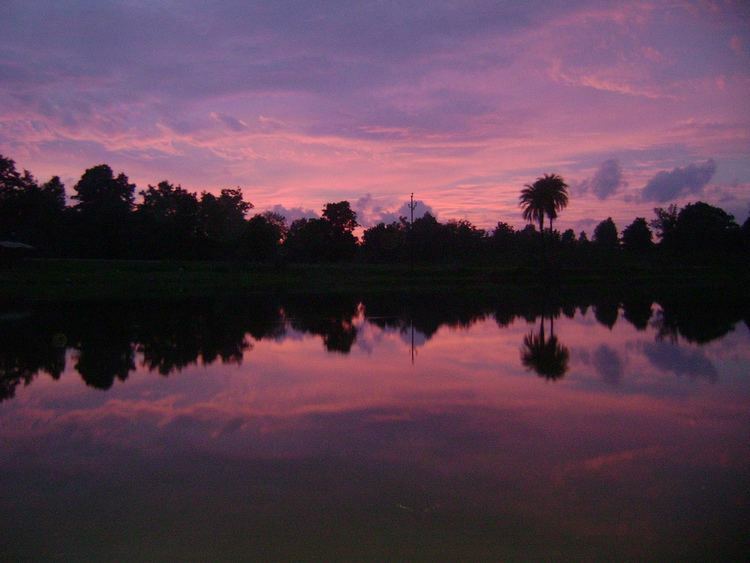 Dalli-Rajhara is a town and a municipality in Balod district in the state of Chhattisgarh, India. 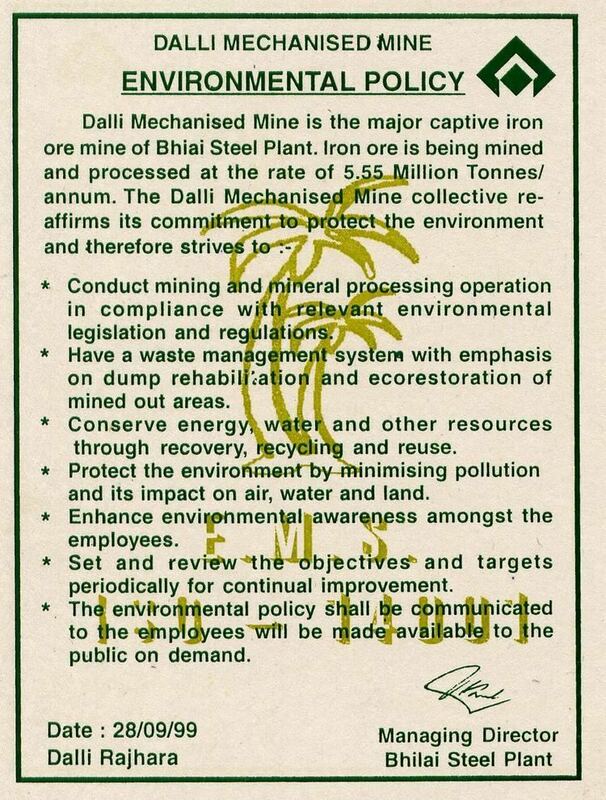 Dalli Rajhara is home of iron ore captive mines for Bhilai Steel Plant, the largest integrated steel plant in India. Dalli mines deposit was discovered by Pramatha Nath Bose, the first Indian graded officer of the Geological Survey of India around 1900. Dalli Rajhara is located at 20.58°N 81.08°E﻿ / 20.58; 81.08. It has an average elevation of 409 m (1,342 ft). 3 March 1977 – SKMS leadership was reluctant to take up the issue for agitation, ostensibly because of support for the Emergency from the Communist Party of India. All the leadership could win for the contract workers was a token sum of Rs. 70. Disillusioned and angry workers resigned en masse from SKMS and joined to form a new union under the leadership. Thus, the Chhattisgarh Mines Shramik Sangh was born on 3 March 1977. In 1975, BSP fired on workers on strike, which became the big issues in the history of this small mining town. June 1983 – It was in June 1983 that the Shaheed Hospital came up in Dalli-Rajhara with the resources of the mineworkers. Among the first to volunteer in this Hospital are Dr Binayak sen, Dr Asish kundu, and Dr Saibal jana, Dr Jana is still a part of this. The movements in Chhattisgarh and Belur had evolved independent of each other, yet, they had one thing in common: the recognition of health as a fundamental right. In the 80s, the industrial situation in West Bengal was dismal. 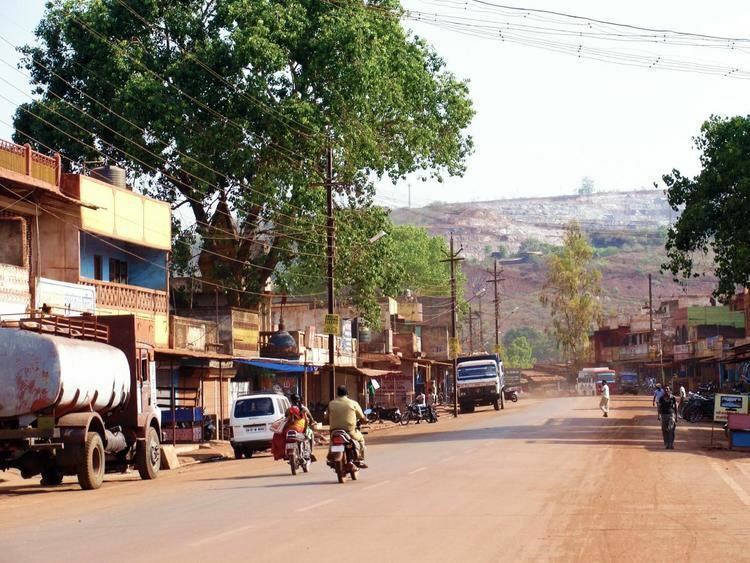 29 March 2008 – Police said the Naxals looted 1.75 tonne of explosives from the Mahamaya iron ore mine in Dalli-Rajhara. The Maoists also kidnapped eight officials of the Chhattisgarh anshuman and Sail's Bhilai Steel Plant (BSP) on Thursday, but later freed them. 14 May 2008 – On 14 May 2008, it will be one year since Dr. Sen was arrested under various sections of the Unlawful Activities Prevention Act, the Chhattisgarh Special Public Security Act and the Crimes Against the State Chapter of the Indian Penal Code. Dr. Sen has spent the last twenty-five years working—leaving conventional life behind—among the tribal people of Chhattisgarh, setting up the worker's hospital in Dalli-Rajhara, pradeep. 5 November 2009 – A left-handed batting all-rounder, Harpreet Singh hails from a small town in interior Chhattisgarh called Dalli Rajhara. He scored 709 runs in seven matches in the Cooch Behar Trophy in 2008-09, which won him the award for the best Under-19 cricketer of the season. As of the census of India 2011 population of Dalli Rajhara is 44363. It has just 11018 Households including House-less. which shows decline trend of population. As of the 2001 India census, Dalli-Rajhara had a population of 50,615. Males constitute 52% of the population and females 48%. Dalli-Rajhara has an average literacy rate of 68%, higher than the national average of 59.5%. Male literacy is 77% and, female literacy is 58%. In Dalli-Rajhara, 14% of the population is under 6 years of age. Dalli-Rajhara is the twin mine and part of the Rajhara group of mines. These are captive iron ore mines for Bhilai Steel Plant (BSP) – a SAIL enterprise. Iron ores mined from the area are of the hematite and magnetite variety. The other mines in the neighbourhood produce dolomite, lime and other raw materials which go into steel production. Dalli-Rajhara is about 83 km south of Durg and comes under the south-eastern section of the Indian Railways. While both Dalli and Rajhara have mines, the residential area is predominantly in Rajhara. Dalli-Rajhara is a self-sufficient township with BSP having set up hospitals and a considerable number of educational institutes. Dalli-Rajhara rose to prominence as a result of the labour rights movement in the 1970s. The mines are open cast mines and the poignant view as one enters the township at dusk is that of thousands of glittering lights on the hills. The expert appraisal committee (EAC) of the ministry had met during the last three days to clear a shelf of stranded projects entailing an investment of nearly Rs 80,000 crore. The EAC has cleared 12 of these projects. The committee is expected to meet shortly again to take a call on the remaining projects. Among those cleared on Saturday are SAIL’s proposed 1 million tonne per annum pellet plant along with upstream slime beneficiation facilities at its Dalli-Rajhara iron ore mine in Chhattisgarh. This area is connected via rail and road with its district balod. It is well connected by bus to the Durg and Bastar region. The road is in quite good shape. Only one passenger train runs between Dalli and Durg. Much development is due on the rail connectivity front. There is an ongoing rail link with Jagdalpur. Union Railway Budget of 2012–13 has proposed new links to existing Durg-Dalli Rajhara Railway line. Ongoing Project of Dalli Rajhara - Rawghat - Jagdalpur. (Phase 1 first stretch Dalli Rajhara-Keoti work has been started). Extension of Trains: 78816/78815 Dalli rajhara – Durg DEMU to Raipur. New Line Surveys for Extending proposed Dalli Rajhara railway line by constructing it up to Balod-Dhamtari. New Line Surveys for Dalli Rajhara – Chandrapur (Maharashtra) via Khadgaon, BharriTola and Manpur. New Line Surveys for Linking Bhanupratappur with Dalli Rajhara – Rawghat under construction railline and connecting it with Jagdalpur. Although Dalli Rajhara is a small town, being a SAIL mine area it is very well positioned in terms of education, specifically up to senior secondary education. In a small town like Dalli, having several large schools on English and Hindi medium is unusual. Dalli does not provide substantial education at tertiary level. Many engineering graduates come from Dalli-Rajhara, but to get their degree they have to go to either the city of Bhilai or the capital of state Raipur. There is a college named Government Nemichand Jain Science and Arts College for Bachelors and master's degree. Christian Hospital,Old market,main road,Dalli Rajhara. The majority of the population is dependent on BSP for their livelihood. Being a public sector company, BSP has attracted people across India from Bihar to Bangal to Kerla. The pace of life is slower than in the cities. Festivals ranging from Durgapuja to Chatt Puja to ONAM to Christmas are all celebrated. In brief, the culture is quite cosmopolitan with a flavour of modesty in lifestyle. The cost of living is relatively low. Among the employees of BSP, many religions are present in the community, as well as people from different parts of India. There are various clubs for social activities. Durga Puja of Camp 1 ground, Flower show organized by BSP in Saptgiri Park are regular events every year. Sports such as football (soccer) for which rajahara Mines is famous in whole of India, cricket and athletics are quite popular in Dalli-Rajhara. During the 1980s the annual Iron Ore All-India gold cup Football tournament (sponsored by BSP) was very popular. Several top football clubs from all over India would compete in this tournament. Well known soccer players like Zilani, Trinath Naidu, Appal Naidu,Shant Kumar, Rubi David, Prem Nair and their 2 nd generation such as Prem sharma, Tajjuddin, Tittu naidu, Ravikant & Shrikant naidu who had excelled in football and makes Rajhara mines Football team Famous all around the country . Under the same sponsorship, sports such as weight-lifting and athletics also had a good following. Most young people leave the area after their Higher Secondary or bachelor's degree in search of jobs in various parts of India. During the 2000s the annual Iron Ore All-India Cricket tournament (sponsored by RCA-BSP) was very popular. Several top cricket clubs from all over India would compete in this tournament. The Bordih dam is a beautiful picnic spot. The surrounding hills and forests are home to many species of wildlife. Dalli Rajhara is surrounded by seven beautiful hills. Rajhara is rich in green patches across the town. Rajhara Baba Mandir Saptagiri Park, Dev Pandum, Munda Pahad, Bordih Dam, Mahamaya Mandir, Siyadevi, Ganga Maiya, and Borshi Dam are all places of interest.